Care coordination and patient tracking with Archway Carelink. Ongoing program management and insights with Archway Analytics. Archway was given an A+ rating by Chilmark Research for bundled payment technology tools, the highest of any other convener organizations for Medicare programs. Our technology can be applied across a variety of risk-based programs, including BPCI Advanced, Oncology Care Models, Self-insured employer plans, Health plans, Stop-loss downside risk protection. Reports – Use reports to monitor preferred provider performance, track SNF LOS trends, access a financial summary, and more. 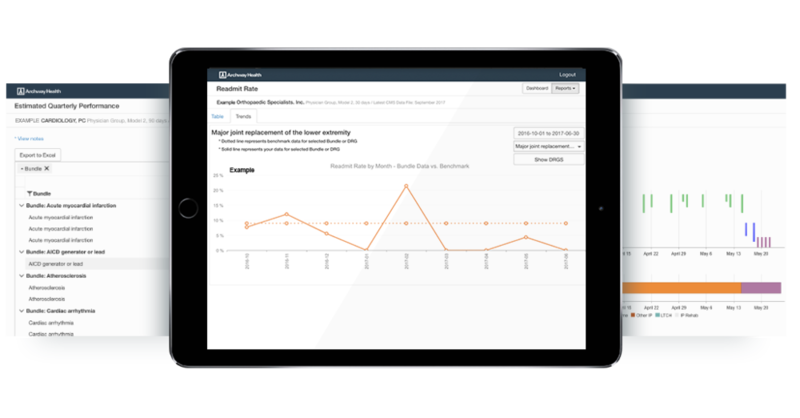 Monitoring episodes in real-time to improve patient care and inform the care management team. Tools for modeling program opportunities and performance based on the Archway Analytics platform. Tools for understanding the claims based performance of your program. 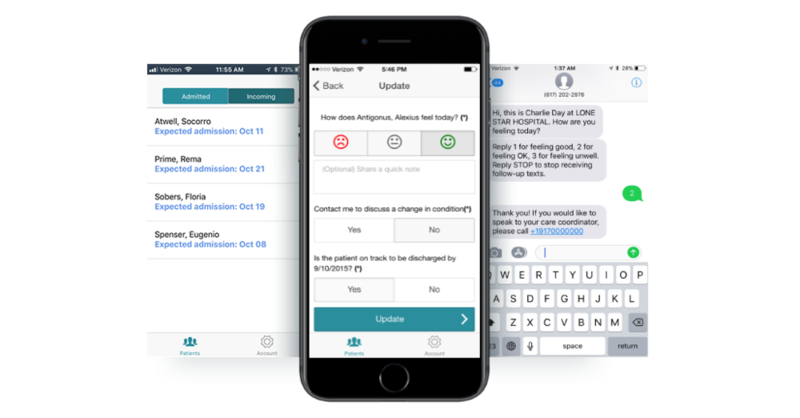 Archway Carelink helps track patient location and health status through mobile apps, text messaging, and interactive phone calls.